Bhí an scríbhneoir agus an t-iriseoir seo ina eagarthóir ar An Phoblacht ó 1973 go 1974 agus arís ó 1977 go 1979. Rugadh é ar 2 Nollaig 1921 i Ráth Maonais, Baile Átha Cliath. Francis Xavier Desmond a ainmneacha baiste. Ba iad Kevin Walsh, aturnae, agus Gertrude Andrews a thuismitheoirí. Ina leabhar Gríscíní saillte (2001) deir Deasún gur Phreispitéireach ba ea athair Gertrude ach gur thiontaigh sé ina Chaitliceach. Deasún an duine ba shine den cheathrar a rugadh dóibh. A sheanathair, James J. Walsh, aturnae, a chosain beirt den chúigear Invincibles ar cuireadh dúnmharuithe Pháirc an Fhionnuisce (6 Bealtaine 1882) ina leith. Parnellíteach láidir ba ea é siúd sna 1880idí. Réamonnach ba ea athair Dheasúin agus bhí seisean in Arm na Breataine sa Fhrainc 1914–18 (The Irish Times 2 Eanáir 1997). I gColáiste Belvedere a bhí Deasún i dtosach báire ach, nuair a d’éag a athair agus gan ach 12 bhliain d’aois ag Deasún, fágadh an teaghlach i mbochtanas go tobann agus deir a mhac Caoilte gur aistríodh Deasún go scoil chónaithe sa Droichead Nua, Co. Chill Dara. Bhí sé in Arm na hÉireann i rith éigeandáil 1939–45. ‘Part timers were called up soon after the declaration of war, to become an integral part of the Army. Volunteers ... were known as E (for Emergency) men. I became one of them, having served for a brief period with the LDF (now the FCA)’ (‘An Irishman’s Diary’, The Irish Times 1 Aibreán 1996). Bhí sé ina leifteanant ag deireadh a chúrsa. In Gríscíní saillte (2001:10) deir sé: ‘Ó am go chéile, bhí mé i gceannas ar an Magazine Fort agus mé im’ oifigeach airm sna Scoileanna Hibernicheacha mar a mbíodh Cathlán a 18, arm an stáit.’ Faoin ainm ‘Rex MacGall’ a foilsíodh aiste leis faoi neodracht na hÉireann in New York Herald Tribune agus é san arm go fóill. Um Nollaig 1944 d’fhoilsigh The Irish Times dán leis ‘Adeste Fidelis’. Tugtar le tuiscint in Architects of the resurrection: Ailtirí na hAiséirghe and the fascist ‘New Order’ in Ireland (Douglas 2009), go raibh léirmheasanna ar scannáin aige sa pháipéar Aiséirí in 1945. Chuaigh sé chun na Spáinne i mí na Bealtaine 1946 agus chaith tamall ann le hobair bhord na turasóireachta (Dirección General de Turismo). Thosaigh sé ar an iriseoireacht mar cheird agus é ag obair sa raidió Meiriceánach, RKO, in Tangier, i Maracó, cathair idirnáisiúnta. Nuair a phós sé Maria de la Piedad Lucila de Hellman Menchaca (Luci) ar 31 Iúil 1947 i Maidrid, ba iad seanmháithreacha na beirte a bhí mar fhinnéithe acu. Ar 8 Deireadh Fómhair 1924 a rugadh Luci agus ba iad a tuismitheoirí Lucila Menchaca y Diliz, paróiste San Nicolás de Algorta, Getxo, Bizkaia (Tír na mBascach), agus Francisco Enrique Hellman y Roche a rugadh in Gross Fullen sa Ghearmáin. Bhí beartaithe ag Deasún agus Luci ón tús gur Gaeilge amháin a labhródh seisean lena bpáistí agus gur Spáinnis Chaistíleach amháin a labhródh sise leo. Seisear a rugadh dóibh: Diarmuid (a rugadh sa Spáinn), agus Osgur, Caoilte, Oisín, Lucilita agus Cormac, arbh in Éirinn a rugadh iad. Is beag má bhí aon duine díobh nár bhain cáil amach, bíodh sin beag nó mór, sna healaíona, sa pholaitíocht, sa phoblachtachas, nó sa scríbhneoireacht. Ar ais in Éirinn dó in 1949 bhí sé fostaithe mar iriseoir ag Scéala Éireann, The Irish Times, Sunday Review, Times Pictorial (nuachtáin de chuid The Irish Times an dá cheann deiridh sin) agus ag The Irish Independent. Scríobhadh sé anseo is ansiúd faoin ainm ‘Rex McGall’ ach ag scríobh dó ar an bpolaitíocht is é ‘Dara Mac Dara’ nó ‘Mac Lir’ a thugadh sé air féin. I rith an dá bhliain 1958 agus 1960 bhí sé i mbun staidéir ar theanga agus ar litríocht na Gaeilge sa chúrsa oíche ag David Greene, Máirtín Ó Cadhain agus Seán Beaumont i gColáiste na Tríonóide, Baile Átha Cliath. Is dóigh gurbh í an tréimhse foghlama sin ba chúis cuid mhaith lena chur ag scríobh Gaeilge agus a rinne díograiseoir teanga agus poblachtachais de. Um Cháisc 1966 bhí sé ar dhuine de thrí dhuine dhéag, baill de Mhisneach, a chuaigh ar stailc ocrais ar feadh seachtaine d’fhonn aird a tharraingt ar fhaillí an rialtais sa teanga. Bhí sé bainteach le Cumann Wolfe Tone sna 1960idí. Cheana féin bhí cúig leabhar Gaeilge don aos óg scríofa aige: An fáinne Arabach (1960), An dealbh Spáinneach (1960), An buama deireanach (1962), An deachtóir (1963), An gasúr a chaill a ghoile (1984). A rogha féin dá ailt ó dheireadh na 1960idí ar aghaidh is ea Gríscíní saillte (2001). Ní go dtí 1964 a thosaigh sé ag soláthar ábhair, idir dhánta, ghearrscéalta agus aistí, in Comhar agus Feasta. Bailiúchán dá ghearrscéalta is ea Galar na bhfocal agus scéalta eile (1999) agus is bailiúchán dá dhánta féin agus dá aistriúcháin ar dhánta Spáinnise, Iodáilise agus Laidine é Dánta Amadóra (1998). Aistriúchán ó Bhéarla Richard Roche, d’fhonn cur leis an tsraith ‘Macallaí na Cásca’ (Coiscéim), is ea Loch Garman agus Éirí Amach 1916 (2006). Bhí scríofa aige freisin The Best of the English, a short account of the life and work of the Bishop of Kilmore, William Bedell and the Irish version of the Old Testament for which he is responsible (1971). Thuill a thráchtas léinn faoin bpúca M.Litt Choláiste na Tríonóide, Baile Átha Cliath, dó agus an seachtó bliain sáraithe aige ag an am. D’fhoilsigh An ClóchomharChugat an Púca (1994). Ball fuinniúil de Choiste Gnó Chonradh na Gaeilge é tamall (Mac Aonghusa 1993). Faoi dhó a bhí sé ina eagarthóir go sealadach ar An Phoblacht, mar a dúradh thuas, le linn na n-eagarthóirí seasta a bheith i bpríosún. Bhíodh ábhar aige ó am go chéile in irisí agus páipéir eile chomh fada ó chéile le The Farmers’ Journal, Saoirse agus An Timire. Maidir leis an gceol a chum sé, cuimhnítear ar an bhfonn mall i gcuimhne na ndaoine a maraíodh i nDoire, Domhnach na Fola 1972 agus ar ‘An Ghailseach’ a chum sé le grá do Luci. Gheofar gearrchuntais ar a shaol in The Irish Times 13 Deireadh Fómhair 2007 agus in An Phoblacht 11 Nollaig 2007. Tá eolas beathaisnéiseach le fáil freisin sa réamhrá a chuir sé le Galar na bhfocal agus scéalta eile (1999) agus sna haistí in Gríscíní saillte (2001). Leis an gcinsireacht in Éirinn lena linn a bhaineann cuid nach beag den réamhrá úd agus deir sé ann gurbh éigean dó éirí tamall as eagarthóireacht An Phoblacht féin nuair a bhraith sé go ndearnadh cinsireacht ar rud a scríobh sé. San aiste ‘Brúnaigh, Briainigh agus Breatnaigh’ (Lá, 10 Aibreán 1992) tá cuntas aige ar an éagóir a rinne an stát ar a mhac Osgur nuair a cuireadh é i bpríosún Phort Laoise ar feadh bliana go leith in 1978 faoi airgead a robáil as traein sna Solláin, Co. Chill Dara, in 1976, coir nach raibh aon bhaint aige leis. Bhí Deasún fostaithe uair mar eagarthóir na ngné-alt in Scéala Éireann agus, nuair a d’inis Ruairí Ó Brádaigh, uachtarán Shinn Féin Sealadach, do Tim Pat Coogan, eagarthóir an pháipéir sin, le barr trua d’Osgur, nach raibh lámh ná páirt ag an bhfear óg san eachtra, gurbh iad an IRA Sealadach a rinne é, chuir Coogan sin in iúl don Taoiseach Liam Cosgrave, ach aird níor tugadh air (Coogan 2008:206). Scaoileadh Osgur saor in 1978 tar éis achomhairc. Bhí Deasún in aghaidh Chomhaontú Aoine an Chéasta, cé go raibh a iníon Lucilita, Rúnaí Shinn Féin, ar a shon. Bean fhuinniúil ba ea Luci, bean chéile Dheasúin, agus bhaineadh sí taitneamh as bheith ag argóint le Breandán Ó Beacháin, le R.M. Smyllie agus le Myles na gCopaleen fadó sa Pearl Bar agus bhí sí ar dhuine de bhaill bhunaidh Amnesty International. B’ealaíontóir í agus scríobh agus mhaisigh sí leabhar do pháistí. Fuair sí bás ar 1 Deireadh Fómhair 2007 agus d’éag Deasún ar 3 Deireadh Fómhair 2007, lá a sochraide. Coogan, T.P. (2008) A Memoir. London: Weidenfeld & Nicolson. Douglas, R.M. (2009) Architects of the resurrection: Ailtirí na hAiséirghe and the fascist ‘New Order’ in Ireland. Manchester: Manchester University Press. 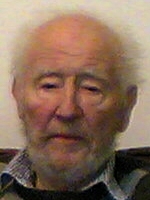 Mac Aonghusa, P. (1993) Ar son na Gaeilge: Conradh na Gaeilge 1893–1993. Baile Átha Cliath: Conradh na Gaeilge.